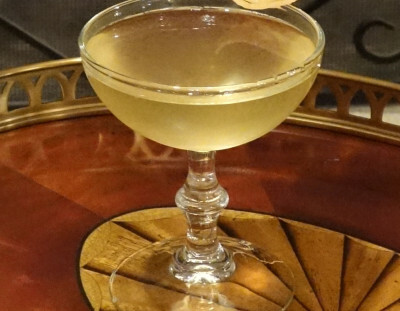 This, in retrospect, is a play on the Perfect Martini. 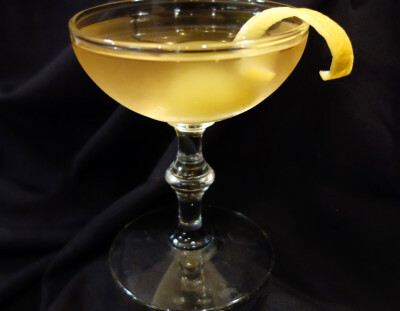 One that combines both dry and sweet vermouth. 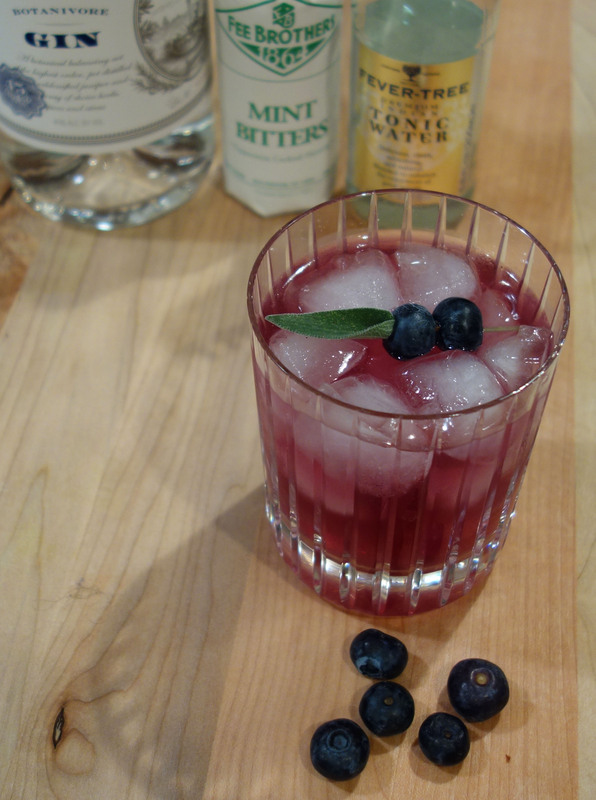 I came up with this idea after the vermouth seminar at Tales with Jared Brown. 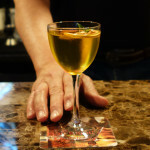 He had us combining various types of vermouth and discussing how to make them. 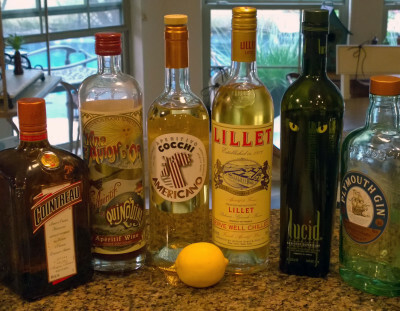 After combining Carpano Dry and Carpano Bianco, I was hooked. 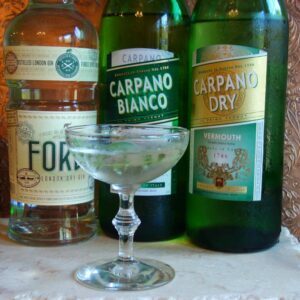 These two styles of vermouth have become my go-to for anything calling for ‘dry.’ At first the Carpano Bianco seems slightly sweeter than the usual premium dry vermouth. I attribute this to the rich wine flavor that comes through along with citrus and a little tropical fruit. 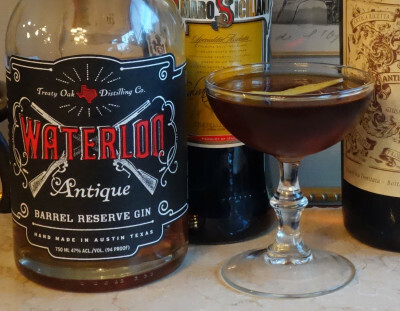 The Carpano Dry is a bit surprising. The nose is wine, lemon, candied fruit and spices, but the taste is bone dry. 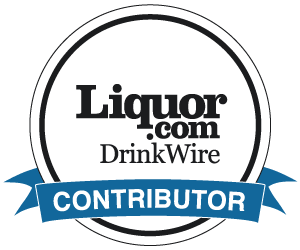 Alone, or in combination, these fortified wines are amazing. 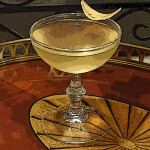 I like my martini’s 2 1/2:1 or 3:1 Gin to Vermouth. Obviously you should use your favorite ratio. 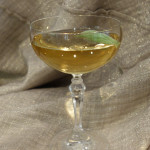 However you make them, try combining the Carpano Dry and Bianco 50/50 for the vermouth. 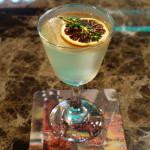 I have tried this with Ford’s, Plymouth, 209, Aviation, Hendrick’s and Botanivoire. I like them all! 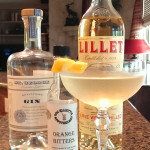 When it comes to the garnish, I think that citrus and olives, individually or together, drastically alter this martini. 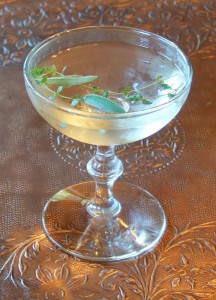 I prefer one or two fresh herbs floating on the surface.